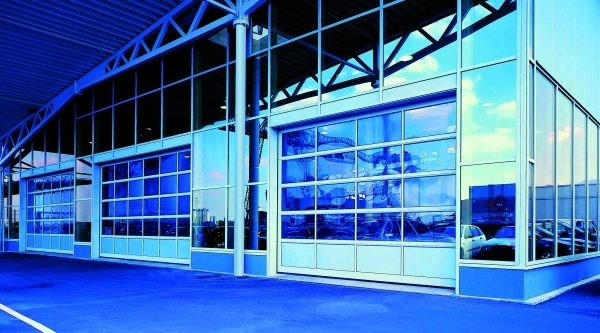 Industrial doors are lifting doors intended for industrial buildings like production, storage, commercial andb. An industrial door differs from a usual garage door mainly by durability and dimensions. 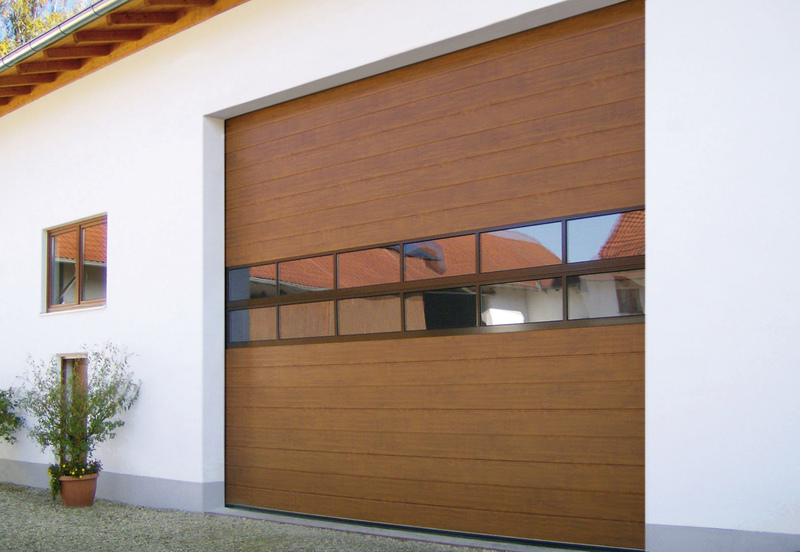 While an ordinary garage door is usually operated a couple of times a day, an industrial door is opened and closed more frequently. This is why it’s important to use more durable elements for these doors. 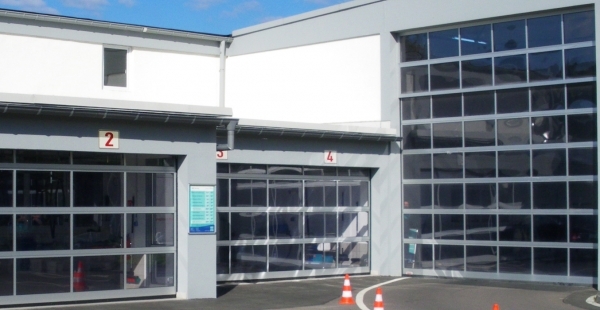 Industrial doors can have a low, normal, high, vertical or inclined lifting. You can choose between section doors with thermal insulation and rollup doors without thermal insulation. We can manufacture very large doors – special orders with width up to 12 m and height up to 8 m are possible. Various lifting mechanisms allow installing the doors in any situation. Special torsion springs extend the door’s service life even more. 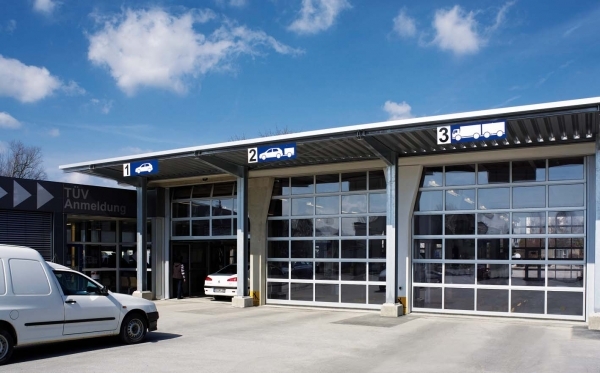 Doors can also be operated with manual pulleys or various industrial automation systems. Wide choice of colours – the base colours are white (RAL 9016), silver (RAL9006), gary (RAL 7016) and brown (RAL 8014), the inside comes in white (RAL 9016) only. The door can be painted to any RAL colour. 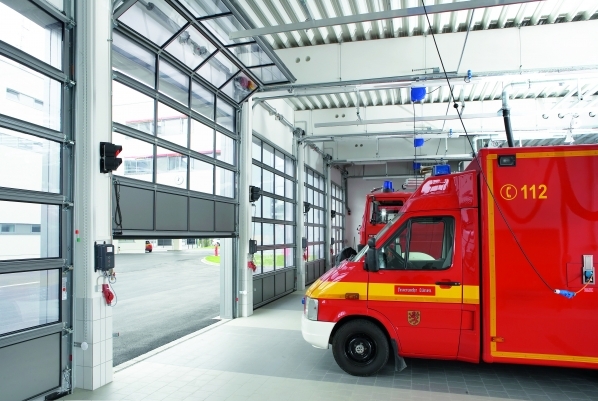 Spring protection – these doors have a spring protection mechanism preventing the door from falling if one cable breaks. Theft protection – when using an electric drive, the door cannot be manually opened from outside. Overload switch – if there’s an obstacle under a closing door (a person, an animal, a car), the door stops and lifts again. Photocells – the door opens automatically if an obstacle appears in the range of the photocells. The doors move smoothly because their weight is balanced by torsion springs. The service life of the springs is 25 000 full cycles – this is ca. 10 years of stable use. Depending on the doors measurements and specifications can withstand 200 000 full cycles. Door sections are made of 0.5 mm thick sheet steel, hot-dip galvanised and covered with polyester paint. The sections are filled with 40 mm thick Freon-free polyurethane. Section doors and accessories have a 2-year warranty! See our galery for more pictures! 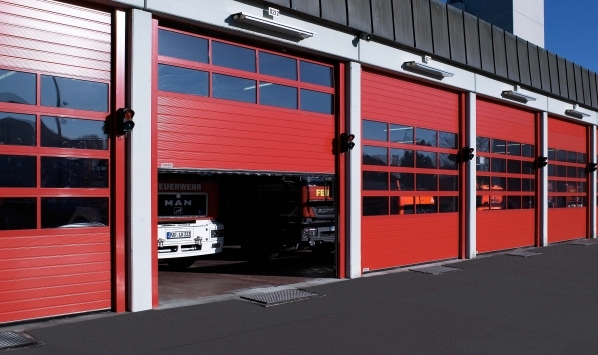 Need more information about industrial doors? Submit an inquiry now!